OOMAPAS Administrative Director Jorge Pivac Carrillo reports a new 14.5 km long aqueduct is 35% completed and, thanks to tremendous efforts made by construction workers, is expected to be concluded by the end of June. 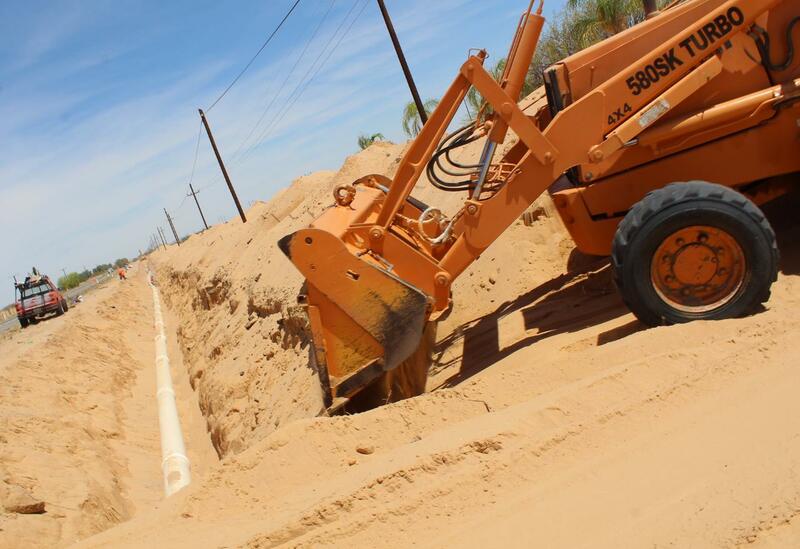 The Director of the Municipal Water Operating Office explained approximately 5 km of piping has already been placed, reminding the community these pipes extend from wells in the Agua Zarca Ejido to the entrance of Puerto Peñasco. This hydraulic infrastructure project is to replace the old asbestos lined piping because of health risks, and as it has presented about 50% water leakage. The public servant added besides this new aqueduct, wells 2, 4, 5, and 10 are being completely re-equipped and when finished will allow water extraction at 450 liters per second, thus covering resident and visitor water demand for this coming summer.